For my birthday this year, my friends and I decided to do our own version of a “Circle Island Tour”. 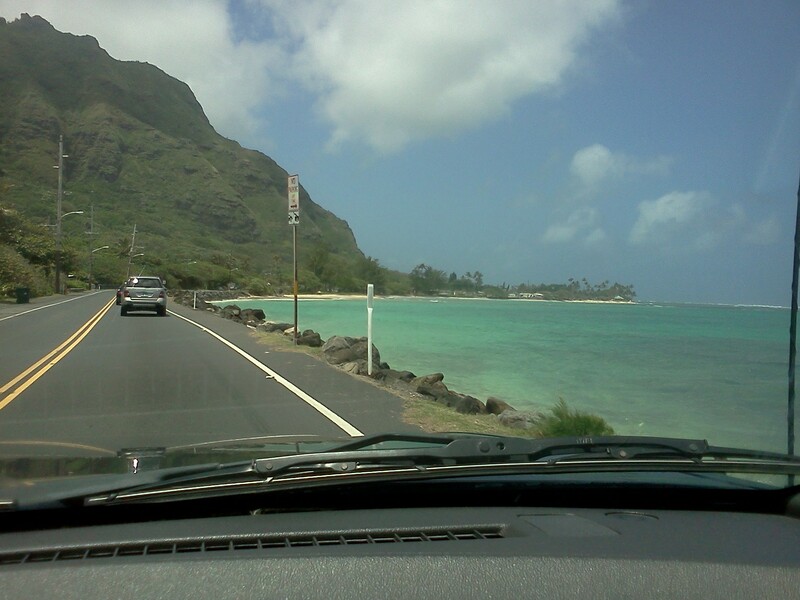 We started out driving around the east side of the island, taking in the views of Koko Head, passing the Halona Blowhole lookout, and driving through Waimanalo on the way to Kaneohe. We stopped for the Sunday Brunch at Haleiwa Joe’s, which features their famous prime rib. After a couple of rounds at the buffet, we were ready for our drive up to the North Shore. Usually when I do a day trip to the North Shore, I like to drive out over the Pali, sometimes stopping to take in the views at the lookout over the Windward coast. If it’s been rainy, you’ll see numerous waterfalls along the way. 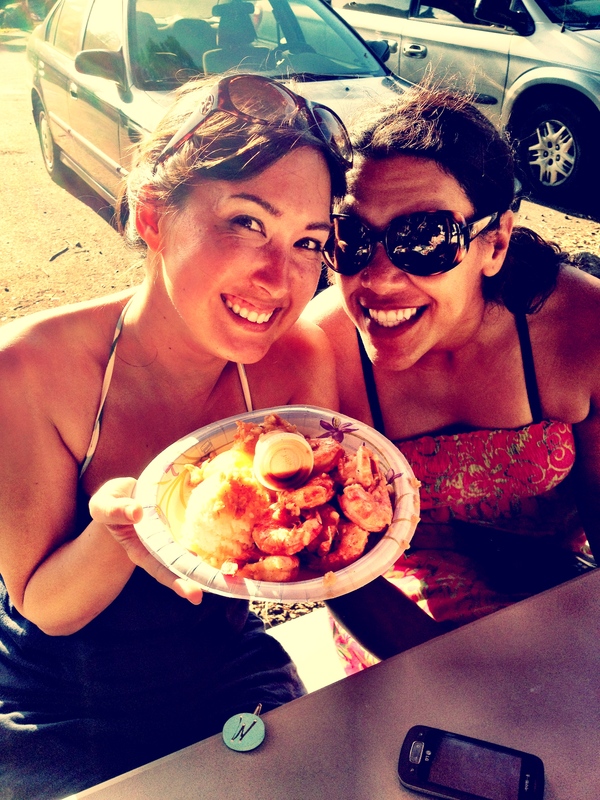 Also, a requisite stop for us is usually Giovanni’s Shrimp Truck in Kahuku, but this time we passed it as we were on a mission to make it out to the opening day of the polo season at the Mokuleia Polo Fields. 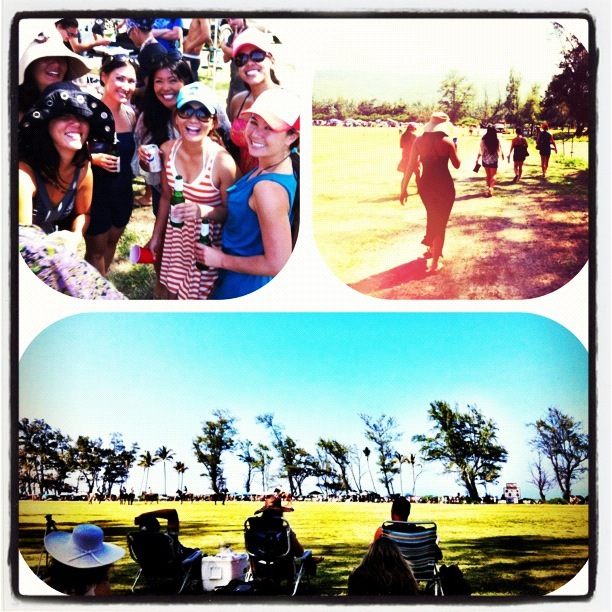 Good times at the polo fields! We arrived just before the 2pm start time and paid the hefty $10 per person to enter, then grabbed our blankets and coolers and looked for a shady spot to sit. (Gates open at noon, so many go early to grab the coveted spots along the sidelines to tailgate.) We were quite content with a spot near the announcers booth. Oh, who am I kidding, we were just happy to be near the bar. It was my birthday, after all! After watching the awesome skydiving show at halftime, we decided to head out to our next adventure. We rounded everyone up and headed to Haleiwa town in hopes of catching Giovanni’s before they closed. As luck would have it, we got there RIGHT before closing. So close to closing that the lady taking our orders was a bit snippy with us and informed us there weren’t enough plates for each of us left. Determined not to let it get in the way of our good time, we offered to buy whatever they had left and to share. Eventually I think our smiley faces got to her, and by the time she handed over our orders I could swear I saw a hint of a smile. Giovanni's plates were a perfect end to a perfect day! – During polo season (April to August), check the calendar here to see if there’s a match going on if you’ll be visiting on Sundays. 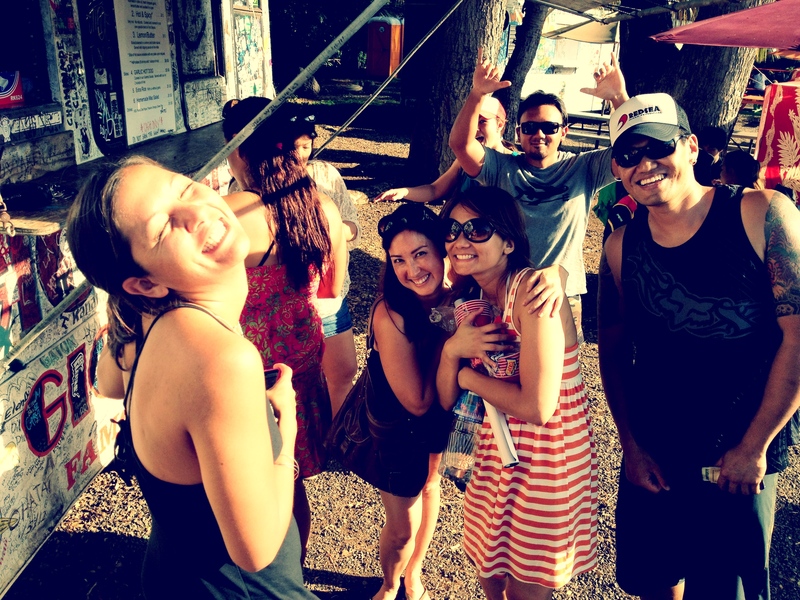 – Also on Sundays, don’t miss the Haleiwa Farmer’s Market. – Check for the shortest shave ice line or compare Matsumoto’s and Aoki’s. – During the winter, leave the surfing to the pros and heed lifeguard’s warnings. The huge winter swells can be dangerous even if you’re just watching from shore. Have your own “must do” list for Oahu’s North Shore? Feel free to share in the comments below! >> For a Honolulu Restaurant Recommendations, click here.